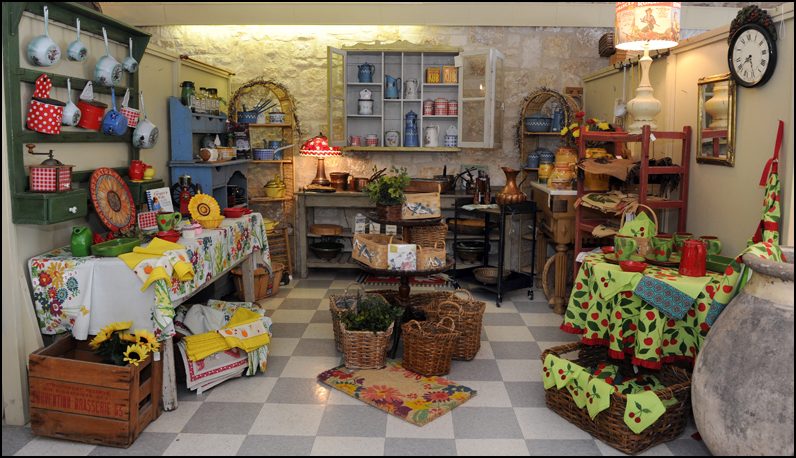 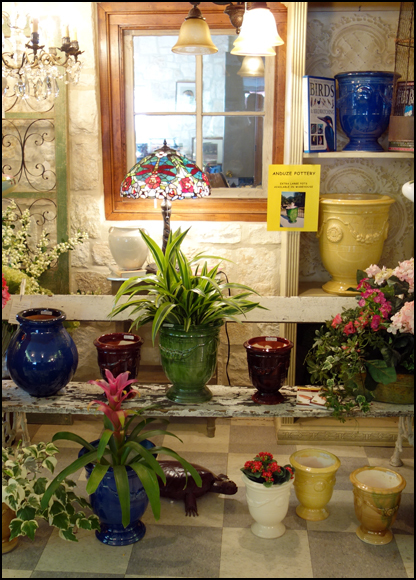 Lamps, chandeliers, tablecloths, pottery, baskets, flower pots, bird houses, permanent flora, crosses, rugs, quilts, candelabras, linens, throw pillows, mirrors—whatever it takes to add personality to your home, we try to have a good selection. 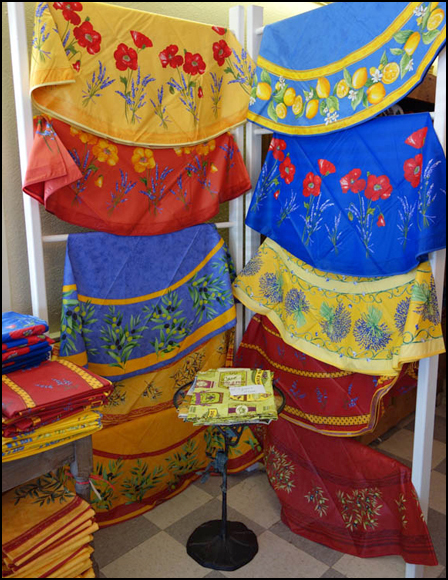 As the seasons change, watch our décor and gifts change accordingly. 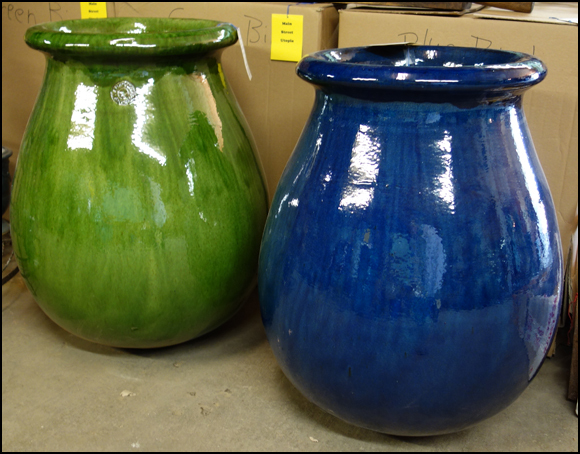 We have one of the largest collections of Anduze pottery in the U.S., directly imported from France, in a colorful array of blue, green, yellow, and even the new shade of turquoise. 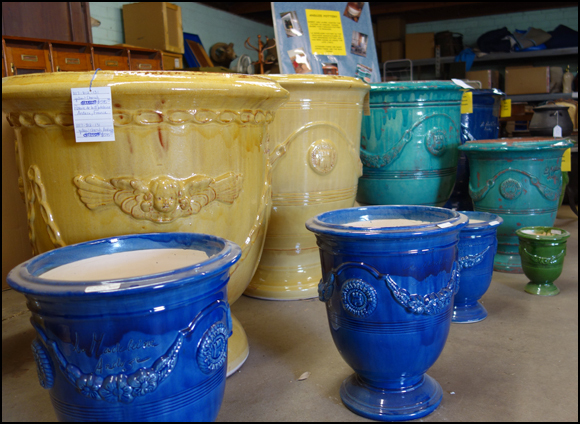 A personal trip to the Poterie de la Madeleine factory in Anduze, France, has confirmed our love of this beautiful, classic pottery, hand made in that French region since the late 1700s.